Do you have the Bananatic points you require to get the Counter Strike Global Offensive Chroma 3 Case Base Grade Container for free? The container could be holding anything from the AUG Fleet Flock to a rare special item, so why not get it right now if you can and find out whatâ€™s in the box today? Those without the points they need to buy the box can try to get it through the Bananabet lottery. 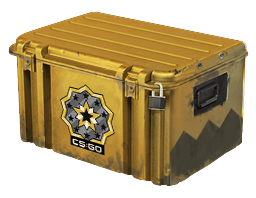 See if youâ€™ve won the points you need to obtain the Counter Strike Global Offensive Chroma 3 Case Base Grade Container for free right now.